AT&T will begin selling the 4G LTE HTC One X smartphone in its retail stores on May 6 for $199.99, with pre-orders starting April 22. 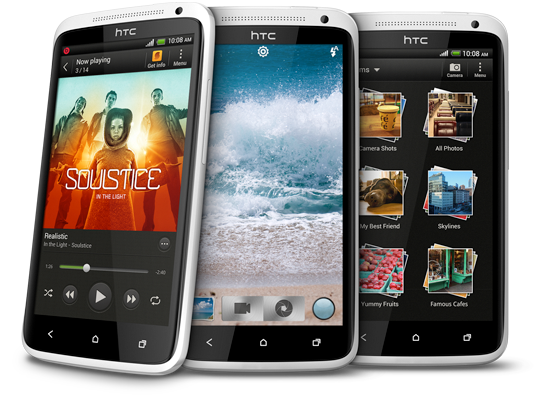 The HTC One X is designed to offer improved sight and sound capabilities. The company said it was the first AT&T smartphone with Beats by Dr. Dre Audio technology built into both the hardware and software. AT&T says the audio technology delivers distortion-free sound at higher volume and better bass at all levels, whether the user is watching movies, playing games or streaming music. The phone runs Android 4.0 and is the first device to offer HTC Sense 4, which AT&T says is designed to improve the user experience. On the HTC One X, this includes a quick-launch feature for the 8-megapixel HD camera, as well as improvements to the lens, sensor, and camera software to enable better pictures in poor lighting conditions. In addition, the 4.7-inch 720p HD glass display uses Corning Gorilla Glass to reduce reflected light for improved clarity of onscreen graphics. One cool capability: the HTC Video Pic feature allows users to capture still pictures while recording video in HD, as well as capture a still image from previously recorded video. Using HTC’s built-in sync software, users can connect the HTC One X to their computer and download playlists from existing libraries. The HTC One X incorporates the 1.5 GHz Qualcomm Snapdragon S4 dual-core processor. With the 1,800 mAh embedded battery and other software enhancements, AT&T anticipates an improvement in battery life over previous HTC phones.